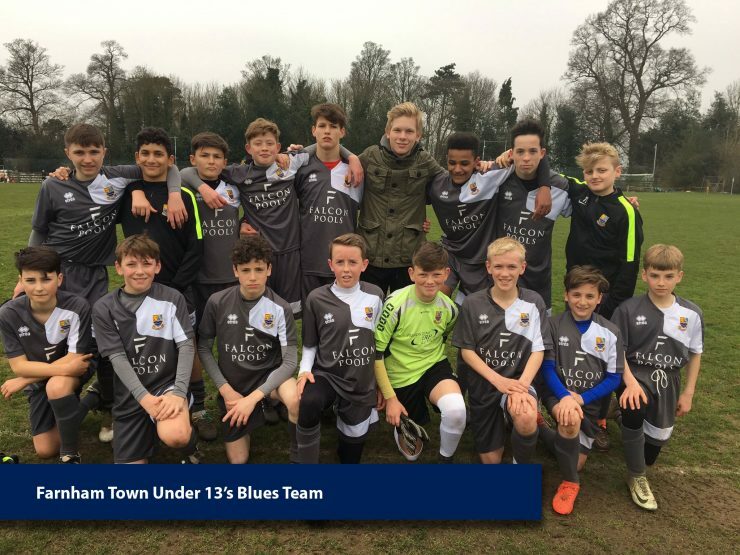 Falcon Pools was hugely proud to sponsor the Farnham Town Under 13’s Reds and Under 13’s Blues Teams last season. 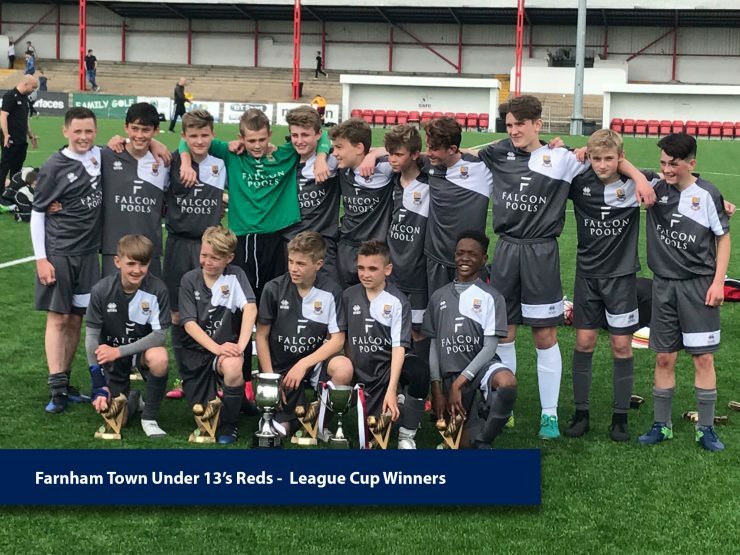 Both of these teams (shown above) had an exceptional season whilst playing in the Under 13 Surrey Youth League Premier Elite Division, which is one of the top leagues for their age group in Southern England. 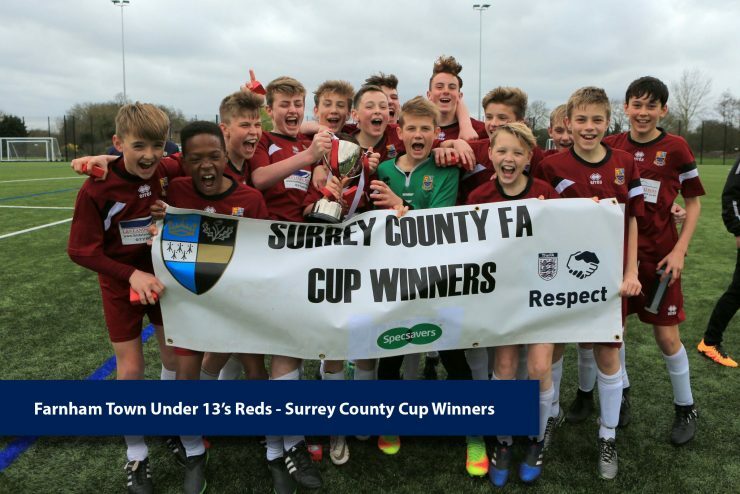 The Reds team won the League Title, the League Cup and the Surrey County Cup, and were unbeaten all season. 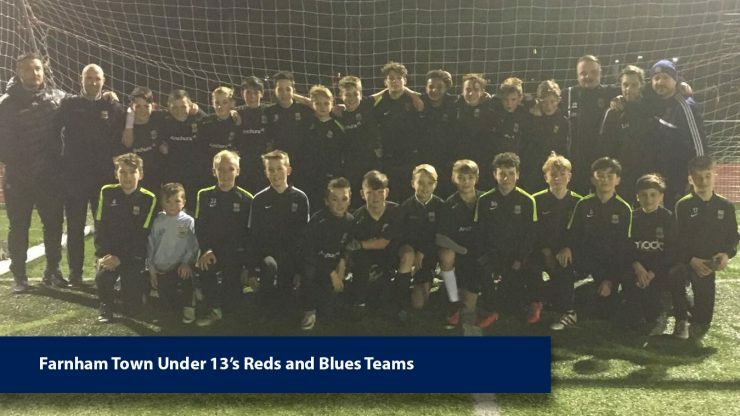 The Blues team came 3rd in the League, were League Cup Runners Up, and also Surrey County Cup Runners Up. 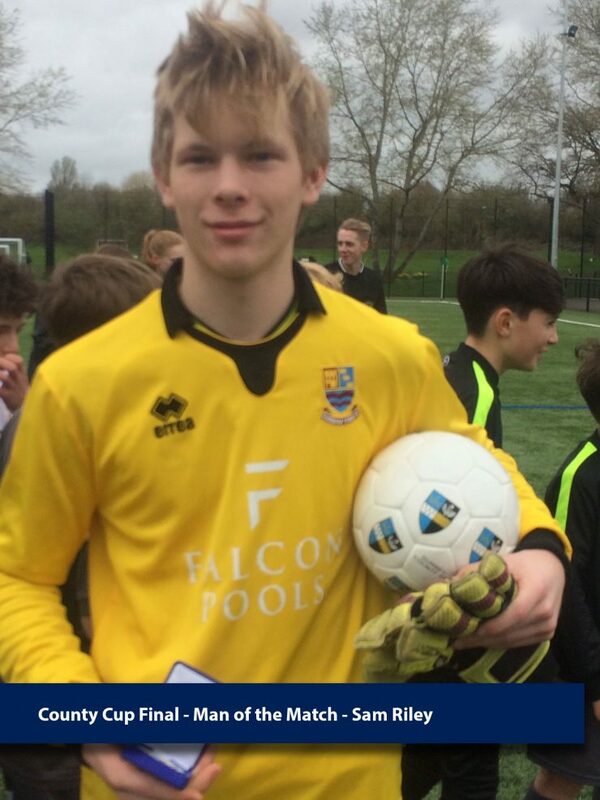 And to add to these achievements, Sam Riley was named Man of the Match in the County Cup Final. So overall a very successful season for both of the teams!